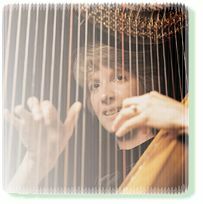 Tami Briggs is a pioneer in the harp therapy field. 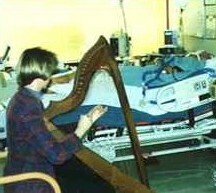 She has a certification from the International Harp Therapy Program. Upon returning from this program, she founded Musical Reflections located in Minneapolis, Minnesota. 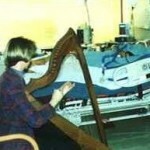 Tami has played the harp at the bedside of hundreds of hospital and hospice patients. She uses her clinical training and musical experience to touch patients, caregivers, and staff members. Her music is an oasis of relaxation and peace. It can be heard in the halls of The Mayo Clinic and from coast to coast – City of Hope Hospital in Los Angeles to Baptist Health System in Miami. Tami is a nationally sought-after health educator, speaker, and consultant. When she is training and consulting with healthcare professionals, her focus is helping them integrate healing music as an appropriate adjunct to medical care. Her presentations for women’s groups, business organizations, and church groups provide a forum to explore relaxing music’s powerful role in our fast-paced world—a welcome “ahhh” in our daily lives. All of her programs are guaranteed to inspire you and nurture your spirit with healing, beauty, peace, and reflection. Ms. Briggs is a composer and recording artist. The statistic that 60% of all illnesses are stress-related motivates Tami to provide products and services for relaxation, comfort, stress reduction, and sleep. 1) Women as Healers: Voices of Vibrancy – It is an inspirational, uplifting book featuring 31 gifted healers from around the world. A CD of Tami’s solo harp compositions is included so you can relax as you read the book. 2) Grace Notes: Reflections on the Harp and Healing – A book about Tami’s most profound and deeply meaningful spiritual experiences playing the harp as a Certified Harp Practitioner. A CD of harp music is included with the book. Prior to founding Musical Reflections, she was co-founder of Transnational Strategies, a cross-cultural training company. She helped business people on five continents increase their international business success by developing cross-cultural skills. Tami has lived and worked in Switzerland, and taught American culture in Kyoto, Japan.